Make Your Life An Exciting Journey . . . | What is the Meaning & Purpose of Life? Make Your Life An Exciting Journey . . .
. . . and please feel free to leave a comment to share with others, in the event your life’s journey includes experiences as exciting as this one . . .
As revealed in this amazing footage (below), “Grinding the Crack” is likely NOT what you thought it might be. 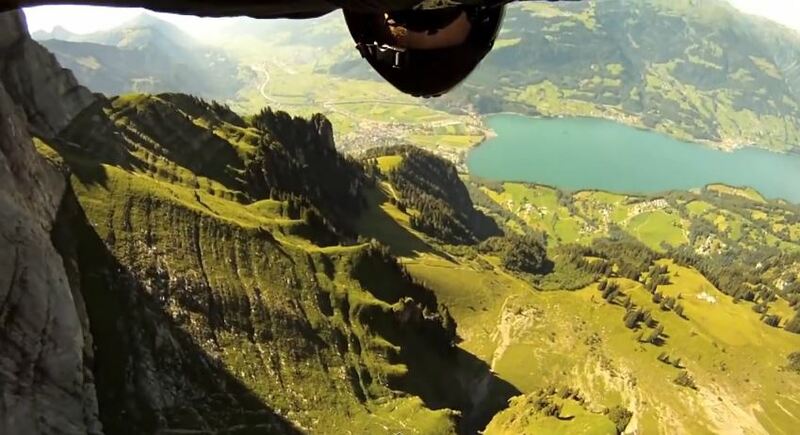 This wild and crazy sport is also euphemistically called “proximity jumping in a wingsuit“, or simply, “Base Jumping” and one of its pioneering stars is Jeb Corliss, whose professional vocation is that of “Wingsuit Pilot“. Employing Unconventional Means . . . without question, this is an especially creative and out-of-the-ordinary means of transport. If you wish to learn more about this Base Jumper Extraordinaire and Daring Wingsuit Pilot, Jeb Corliss, you can click here to visit his website. This entry was posted in Believing in Yourself, Careful Planning, Living in the Moment, Unconventional Means and tagged Exciting Journey, Grinding The Crack, Jeb Corliss. Bookmark the permalink. 1 Response to Make Your Life An Exciting Journey . . .